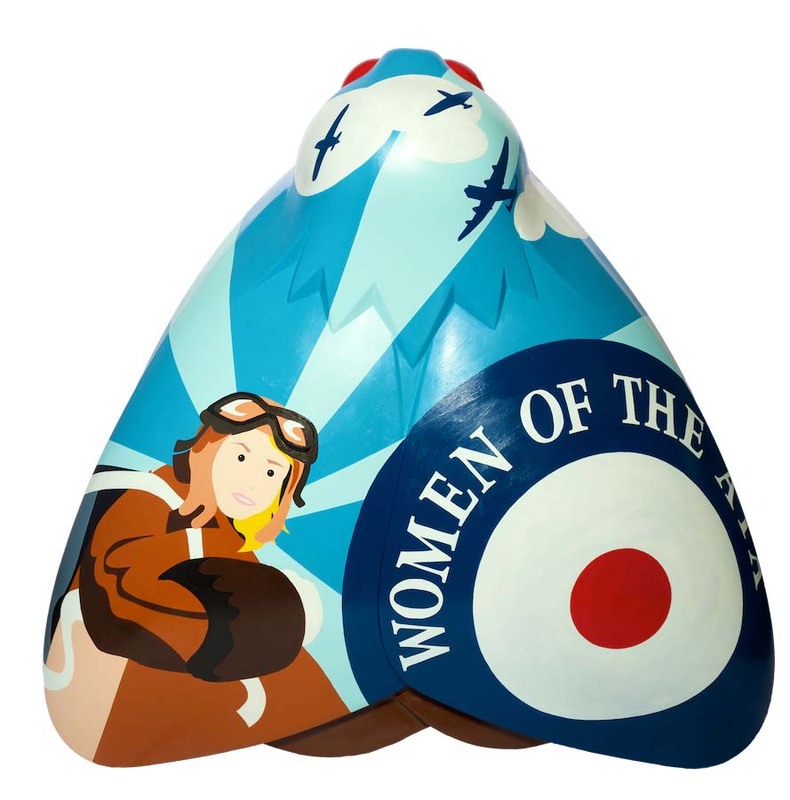 Women of the ATA is dedicated to the 166 women who, from 1940, served in the Air Transport Auxiliary. Flying almost every type of aircraft, their job was to ferry aircraft from factories to maintenance to be made operational. Flying pioneers, these were also the first women to receive equal pay in a government position. Working from her Liverpool studio, Sophie Green produces work which is light, bright and characterful. Sophie was named ‘one to watch’ as part of the Independent on Sunday’s Rainbow List. Sophie has produced work for Rhino Mania Chester, Go Go Dragons Norwich, Wild Dolphins Aberdeen, Where’s Scrumpy Gloucester, the London 2012 Olympics and London’s Books About Town and Year of the Bus sculpture trails. Places For People is one of the largest property and leisure management, development and regeneration companies in the UK. They own or manage 140,000 homes. Their products and services are socially and commercially driven. As a not-for-dividend organisation, any profit they make is re-invested back into the business.